The American Hockey League has been the main developmental league of the NHL for more than a decade, but geographical distances between eastern affiliates and their western NHL teams have made that arrangement less than ideal. That divide could shrink soon. Multiple league sources with knowledge of the situation said several western-based NHL teams are seeking to form a Pacific Division within the AHL, with affiliates closer to home. The new division, which is likely to be approved by the AHL, would ideally begin play in the 2015-16 season. Los Angeles, Anaheim, Phoenix (soon to be Arizona) and San Jose could be included, along with western Canadian teams Calgary, Edmonton and Vancouver. There have been stories the past couple seasons detailing the western teams’ desire to have affiliates closer to home. "It’s been an ongoing process that’s probably been bubbling for the past year or two," AHL vice president of communications Jason Chaimovitch said. "As a league, we’re looking into the possibility and what the process would be." At issue for western teams is the burden the travel places on their prospects when they are recalled (not to mention the scouting staffs). Concerns over injuries and the ability to field a full lineup often lead western teams to carry more players on their NHL rosters than they would if the affiliate were a bus ride away. That ends up costing the teams more salary cap money that might otherwise be saved if players on two-way contracts were playing on their AHL salaries with the affiliate. In addition, players lose valuable developmental time shuttling back and forth. The Kings’ affiliate is currently in Manchester, N.H; Anaheim’s affiliate is in Norfolk, Va.; San Jose’s affiliate is in Worcester, Mass. ; Edmonton’s affiliate is in Oklahoma City; Vancouver’s affiliate is in Utica, N.Y.; and Calgary’s affiliate is in Abbotsford, B.C., just outside Vancouver, which makes a lot more sense for a Canucks’ affiliate than a Flames affiliate. The Coyotes’ AHL affiliate is currently the Portland (Maine) Pirates. The Pirates were forced to relocate to the Androscoggin Bank Colisee in Lewiston, Maine for the entire 2013-14 season after a lease dispute with the board of trustees of the Cumberland County Civic Center in Portland. The Pirates eventually signed a five-year lease in February that would return the team there next season, but this development could alter their status beyond next season. 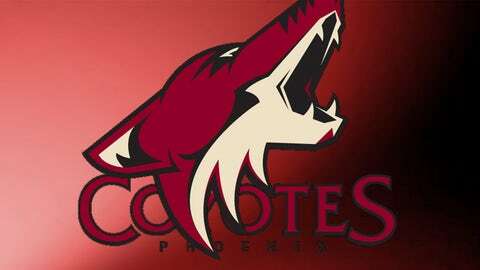 The Coyotes do not own their affiliate as some NHL teams do and the Coyotes don’t have an agreement with Portland beyond this season. Salt Lake City and Albuquerque are potential out-of-state possibilities for an affiliate, but the Coyotes’ probable preference would be to have the AHL affiliate play in Arizona as part of the new ownership group’s effort to build its brand. Among the sites that might be in play are Prescott Valley, Flagstaff or Tucson. Prescott Valley already has a CHL team (Arizona Sundogs) with a desirable facility, but that market is small. Flagstaff was once home to Northern Arizona University’s Division I college team, which produced NHL player and former Coyote Greg Adams. Tucson might be the optimal choice because it is the second largest market in the state and would allow the Coyotes to extend their brand into the southern portion of the state. The Tucson Civic Center began an $8 million renovation in March that will be completed in December and the venue has a capacity of about 8,000, although University of Arizona coach Sean Hogan said it’s closer to 6,500 for hockey right now. Hogan welcomed the idea of a minor league team in Tucson, even if it means sharing ice time and dates. "It would be a unique opportunity for our players and our staff to be around coaches and players of that level," he said. "I would never get in the way of something like that. I love the idea." Tucson Convention Center interim director Sharon Allen also welcomed the idea of a minor league affiliate in Arizona, but has not spoken to Coyotes ownership yet about the possibility. Allen said the concession areas and bathrooms are part of the current renovations, but improvements to some of the team facilities may also be required for an AHL club. While the proximity of an AHL affiliate would have numerous benefits, one drawback teams must weigh is the increased travel the restructured AHL would create for games. Longer travel generally necessitates more rest for players and less practice days. That’s not an ideal situation when teams are trying to develop prospects for the future. With the NFL’s announcement that the 2015 Pro Bowl will be played at Glendale’s University of Phoenix Stadium one week prior to the Super Bowl in January, there has been speculation that the Coyotes might also ramp up efforts to land an outdoor game as part of the NHL Stadium Series. But a league source said that while the possibility of Arizona hosting an outdoor game is very real in the future, it is unlikely to happen next season. In addition, it appears unlikely the Coyotes will have the opportunity to capitalize off the influx of visitors to the Valley for those two marquee NFL events. The NFL has rights to Jobing.com Arena for about 10 days during that period, so the Coyotes are scheduled to be on the road that entire time. While the Coyotes’ game in Thursday may impact this trend, the final two home games of the season — Saturday vs. San Jose and Sunday vs. Dallas in a game with potentially massive playoff implications — are trending toward sellouts. NBC Sports Network announced on Thursday that it has added the Stars-Coyotes game to its telecast schedule, but the game will still be televised locally on FOX Sports Arizona.